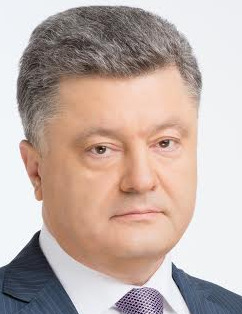 Affiliation Petro Poroshenko Bloc "Solidarity"
Mr Poroshenko is People's Deputy of Ukraine [MP]; Head of the Parliament BudgetCommittee; laureate of the State Prize of Ukraine (science and engineering), "Merited Economist of Ukraine,"; Ph.D. in Law; recipient of the Ukr. version of the Distinguished Service Medal, 2nd and 3rd Class; winner of the Pylyp Orlyk International Prize; author of the monograph "State Administration of Corporate Rights in Ukraine. Theory of the Formation ofLegal Relationships"; co-author of the university textbook "Modern International EconomicRelations." Born September 26, 1965, in Bolgrad, a town in Odesa oblast [adm. region]. Diploma with honours, International Relations and International Law Dept., Taras Shevchenko University(Kyiv). Major: international economics.